It only takes one unsecured laptop for a security breach to occur. OneLogin Desktop can fix that. Cloud-first companies can use it to secure laptops by connecting them to our cloud directory. 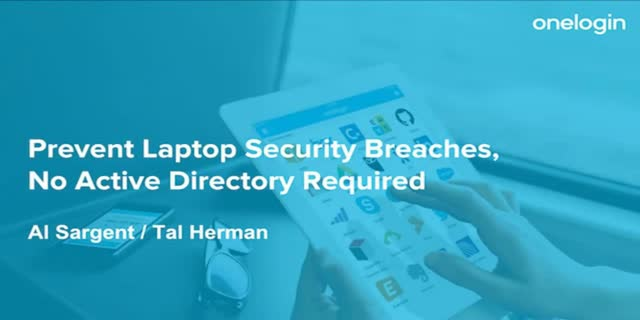 Companies with Active Directory can use it to secure laptops that aren’t domain-joined -- Macs, or PCs used by non-employees. Reduce service desk loads by presenting end users with a simplified sign-in experience that reduces password-reset requests.